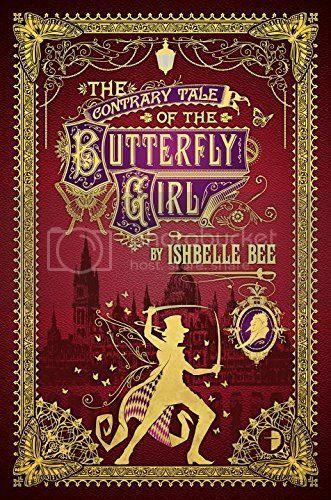 Today, I have the honour of interviewing Ishbelle Bee, the author of The Singular and Extraordinary Tale of Mirror and Goliath, and the follow up to that fantastic book, The Contrary Tale of the Butterfly Girl, which is being released on August 7, 2015, from Angry Robot Books. 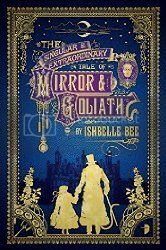 The Singular and Extraordinary Tale of Mirror and Goliath is one of my favorite books of the year, and The Contrary Tale of the Butterfly Girl follows right behind. 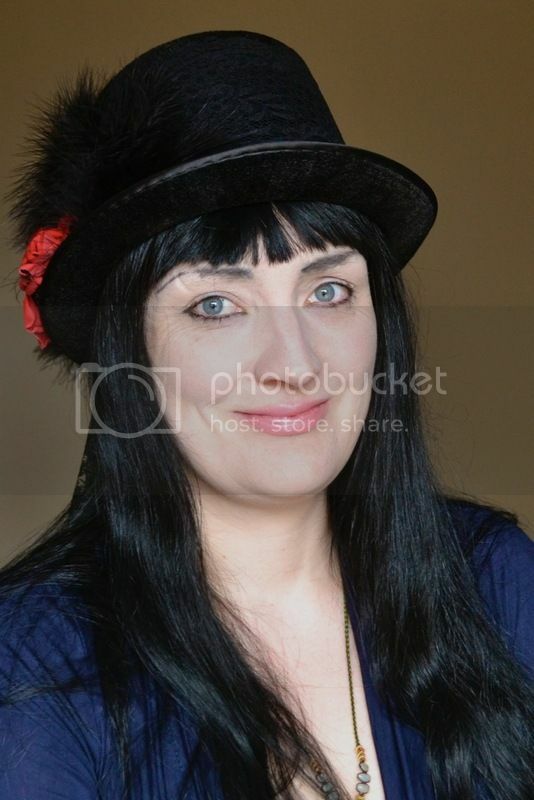 Ishbelle Bee writes horror and loves fairy-tales, the Victorian period (especially top hats!) and cake tents at village fêtes (she believes serial killers usually opt for the Victoria Sponge). She currently lives in Edinburgh. She doesn’t own a rescue cat, but if she did his name would be Mr Pickles. First off, thank you for joining us today, and thank you for writing such a beautiful book in The Singular and Extraordinary Tale of Mirror and Goliath! I would love to know what your inspiration was in creating this fantastical story and cast of characters. I wanted to create my own strange Victorian London filled with quirky and magical characters. I was interested in exploring a story of a little girl possessed with something otherworldly and which would involve Victorian Spiritualism and the frauds associated with it. I was also quite intrigued by the unsolved murders of Jack the Ripper and wanted to somehow include him into the plot. I'm always curious about the writing habits of authors. What is the typical writing day of Ishbelle Bee like? Do you outline, or just see where the characters and story take you? Before writing a book I have a strong idea in my head of the main themes and I usually have a sketchy outline for the plot. I prefer just to dive right in rather than spend days world building and outlining a storyline. A typical writing day for me usually starts quite early, about 7 am and ends about 2pm. I find I write best in the mornings. I like to just get stuck into the story and let it evolve as naturally as possible. I let the characters take me where they want to go (usually into very strange scenarios). In the afternoons I like to read and research subject matters linked to my book (for example Death rites or Victorian costumes) and in the evenings I read for fun. I usually take eight weeks to get a first draft complete of a novel. Then I read through it and start the first of the redrafts before sending it onto my agent for her opinion. How are your favorite authors? Favorite books? Which authors inspire you the most? What are you reading at present? A few of my favourite authors are Angela Carter, Lewes Carroll and Terry Pratchett. THE MAGIC TOYSHOP by Angela Cater and CLOUD ATLAS by David Mitchell. Because I'm wildly curious, favorite Doctor? Tom Baker because of the mad googly eyes and scarfs. Always but I lacked the confidence to try for an agent until a few years ago. What would you say is the hardest thing about writing? The easiest? Any advice for new writers? For me one of the hardest things about writing is to remain focused and complete a book without being side-tracked onto another project. The easiest thing is the characters which is my favourite part and I love writing really quirky individuals with a unique perspective on the world. I am not good at giving advice but I think for any new writer trying to get an agent, just to keep writing, work really hard and try not to feel pulverised by rejections. Any thoughts on the state of the fantasy genre at present? That’s a really hard question. I would like to see more comedy in fantasy (but that’s just me). We know that The Contrary Tale of the Butterfly Girl is just over the horizon, but will we be seeing any more of Mr Loveheart and Co? I'm hoping so! Thank you so much for the lovely interview. A huge thank you to Ishbelle Bee for taking time out of her schedule to stop by and visit us today. Be sure to check out both The Singular and Extraordinary Tale of Mirror and Goliath and The Contrary Tale of the Butterfly Girl, and I know I'll be anxiously awaiting to read more adventures of Mr Loveheart and Co!